La Lucie Recycled & La Lucie Hire are based at Ashmore, on the Gold Coast. We believe there are so many new opportunities to reuse items that we throw away, and our passion is timber… recycled timber, recycled lumber, recycled pallets, whichever, as long as it is recycled, upcycled, reused Wood. Wood4Good is our motto and we know that if we give an old, discarded piece of timber or a pallet a new life that you love, then we have succeeded. We are currently in the process of setting up a shop and showroom at our Ashmore premises where you can visit our shop or come for a coffee to discuss unique one-off pieces for your custom made needs. Please call us on 0404 819 855 if you are calling by to make sure that we are there, as we are sometimes out sourcing timber. 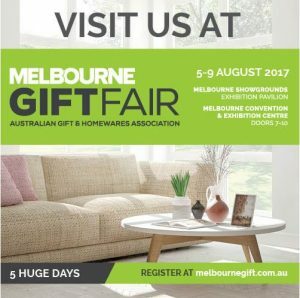 Please browse through our categories and if you would like to discuss your ideal piece or unique idea, please contact us. We are restricted only by your imagination and ours, so if there is something you’d like that you don’t find on our pages, please contact us. Our motto Wood4Good challenges us to see what we can do with a discarded piece of timber, a dose of imagination and a bit of skill to create unique pieces of recycled timber furniture. Some timber that we find has been to all corners of the world, others have sat in an old home for years, or in fact were actually part of an old home for years, and some were a pallet used only once then deemed unusable and suitable only good for landfill. 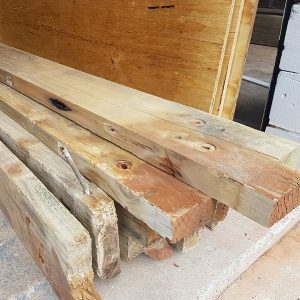 We recycle every suitable piece of lumber that we can, but we do not use any timber which has been treated with chemicals or have signs of any spillage. Australian made and owned, our furniture is hand crafted from locally sourced recycled timber. We pride ourselves in creating quality hand-made, unique pieces. We create all pieces with respect to the timber, and passion for what we do. Our range can be finished to your exact dimensions, colour/stain requirements, or left in its natural form to allow you to coordinate and style your space. Are you tired of the mass produced, disposable furniture currently flooding our market? Have you seen seen something online or elsewhere but would like it to be handmade to your dimensions? Please get in contact with us for competitive quote, for a quality hand crafted piece that will last the test of time. La Lucie Recycled, can create your idea from a photo, or even a rough sketch. We have a small showroom with sample pieces to display how we can create and finish your perfect piece. Please contact us to arrange a time to come to discuss your needs for a custom made, hand crafted piece. Our range includes but is not limited to, Dining Tables | Bench Seats | Day Beds & Love Seats | Coffee Tables | Bar Tables & Sets | Chairs | Entertainment Units | Beds & Bedroom Furniture, and much more. We are unlimited in our scope of what can be created with recycled timber . If you would like to visit our workshop to discuss your needs, please give us a quick call to tell us that you are coming – Eric 0404 819 855 or Gaynor 0407 763 385 . Eric is often out and about sourcing timber so we’d like to be sure that one of us is there to meet you.